Previously, we had covered the 25 Incredible Ancient Roman Quotes, though translated in their English forms. This time around, we decided to include the original Latin phrases and sayings uttered by the various eminent ancient Roman poets, philosophers, generals, and even emperors. 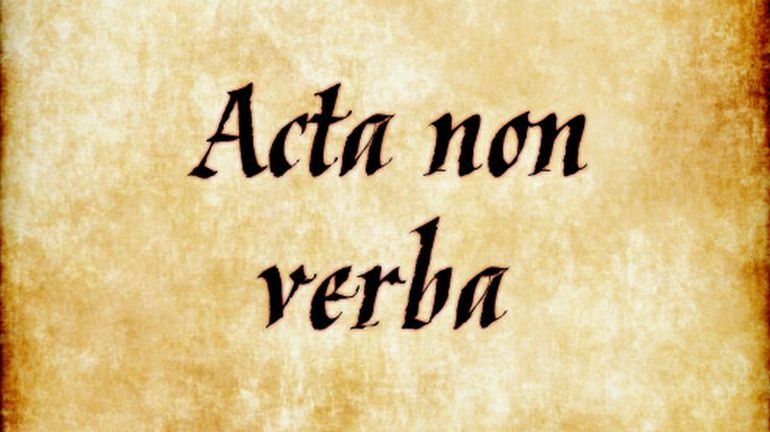 So without further ado, let us take a gander at 30 ancient Roman Latin phrases and sayings you should know. 2) Vixere – ‘They lived.’ (after the execution of the participants in the Catilinarian conspiracy; meaning: “they are dead”). And lastly, we have compiled the remaining Latin phrases and quotes uttered by the crème de la crème of ‘friends, Romans, and countrymen’, including Pliny the Elder, Quintilian, Ovid, Julius Caesar, and Augustus. It pertains to the Latin translation of the first two Greek lines of the Aphorismi, one of the treatises of the Corpus – the renowned collection of ancient medical works often attributed to the ancient Greek physician Hippocrates. As for the historical side of affairs, Hippocrates, often heralded as the ‘Father of Medicine’, was probably born in circa 460 BC, on the Greek island of Kos. The Latin phrase is derived from the Vulgate and in the narrative is presented as being spoken by Jesus to Peter. According to historical estimation, the Gospel of Mark was written during the 1st century (at least before 90 AD, possibly between 66–70 AD) – which makes it the earliest known written gospel, though the authorship still remains anonymous. Pliny the Elder or Gaius Plinius Secundus (23 AD – 79 AD), was an ancient Roman author, naturalist, and natural philosopher – known for his encyclopedic work, Naturalis Historia. Like some eminent Romans of his time, Pliny also had a career in the military with his high-status post as a naval and army commander in the early Roman empire. Pliny later died in the catastrophic eruption of Mouth Vesuvius (AD 79) on the beach at Stabiae, and hence was one of the famous (yet unfortunate) eye-witnesses to the destruction of Pompeii (reconstructed in this animated video). An ancient Roman rhetorician from Hispania, Quintilian or Marcus Fabius Quintilianus, was born in circa 35 AD and was known for opening his public school of rhetoric during the chaotic period of the Year of the Four Emperors (circa 69 AD). There were some eminent names among his students, including Pliny the Younger and possibly Tacitus and Juvenal. And such was his influence in Rome and its circle of education (especially for the ruling class)that later on he was made a consul by Emperor Vespasian. Ovid or Publius Ovidius Naso (43 BC – 17 AD), was a contemporary Roman poet of the older Virgil and Horace, and together these three formed the ‘holy trinity’ of Latin canonical literature during the Augustan period. To that end, Ovid is mainly known his mythological narrative – the Metamorphoses, along with collections of love poetry like the Amores (“Love Affairs”) and Ars Amatoria (“The Art of Love”). Counted among one of most famous of English and Latin phrases, in context, the full translation is “dixitque Deus fiat lux et facta est lux” (“And said God let there be light, and there was light”). The Vulgate Latin version is obviously derived from the Hebrew phrase vayo’mer ‘Elohim, yehi ‘or vayehi ‘or, found in Genesis 1:3 of the Torah, the first part of the Hebrew Bible.